Earlier we broke down Amazon's latest blockbuster earnings, but here is the only number that matters. 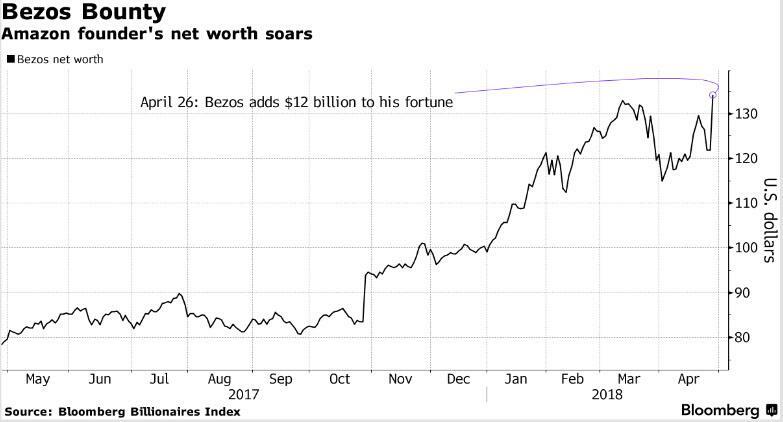 With Amazon stock soaring 6% after hours, rising to a new all time high of $1,616, Jeff Bezos' net worth as of this moment is $134 billion, up $12 billion on the day. 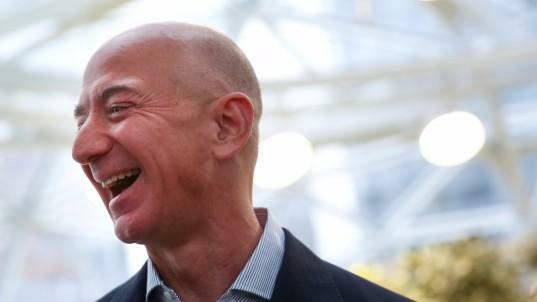 And while that number may not be too significant for Jeff Bezos - already the world's richest man, $35 billion richer than #2 Bill Gates with $91BN - it certainly will be for Donald Trump, who will be quite displeased to learn that his arch-nemesis just made x-times Trump's net worth in the manner of minutes. 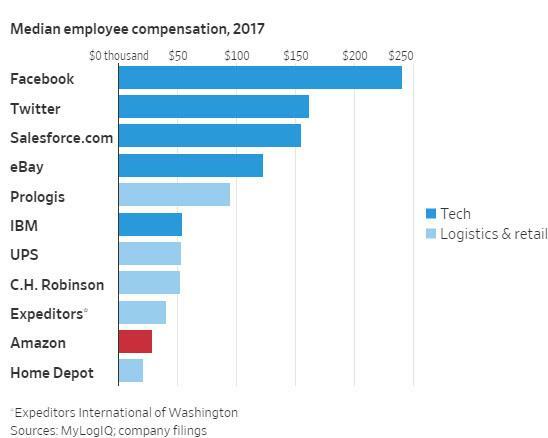 Putting Bezos' fortune in context, the average Amazon worker makes $28,446. Of course, in just a few years the average Amazon worker pay will be zero, as they are all replaced by robots.